Bart Gellhaus has had quite the artistic journey. After attaining his art degree in sculpture, he had a rule he thought he’d never break: No tools. This resulted in tedious and painstaking but beautiful creations, like a 22-foot bowl of leaves stitched together with pine needles that, to the shock of gallery onlookers, he happily destroyed at the exhibit’s end. 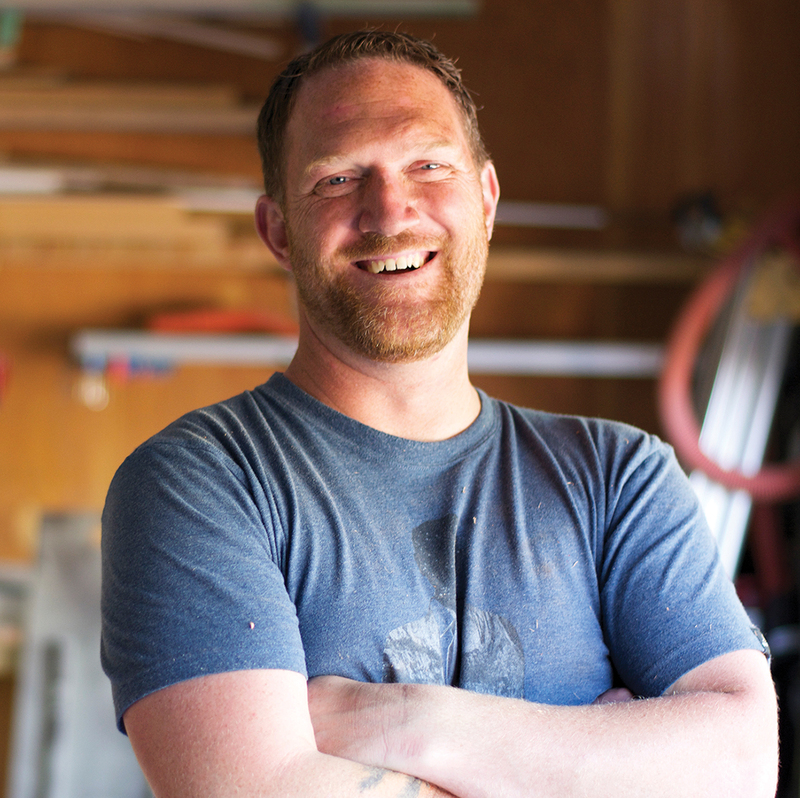 He’s made the transition to full-time woodworker and, yes, uses tools. Q: How did you become a woodworker? Were you always artistic? A: I’ve been artistic since I was a kid, and then I went to art school. My degree is in sculpture, but I got into woodworking in part because of rugby and having kids. I had this deal with my wife where she would kick me out of the house on Tuesdays and Thursdays for rugby practice. But I didn’t want to leave her with three-year-old twin boys. So I said I’m kicking you out of the house on Monday and Wednesdays. So she started dancing again. At the end of rugby season, I had nothing to keep busy so I would come out to the shop. Then I found an interesting piece of wood online, and it just hit me, what I wanted to do with it. It was totally love at first sight. Q: So it’s your artistic true love, but are you always happy doing it? A: I’m definitely not happy the whole time. It can be unbelievably frustrating. I do stuff that in the end seems kind of Zen looking. And I get people who want to do shop visits, but I say that all you’ll learn is a whole bunch of new swear words. Q: What’s the process when someone wants you to make a piece? A: I’ll go to their house, talk about what they want, and say here’s what I can do, what I’m thinking, show some proposal drawings, and go from there. I build what they want built, in the way I want to build it. I like adjusting what I do to meet the commission’s needs. It’s a collaboration every time and I really like it. In art school I was like, ‘I do what I do, and just leave me alone. Don’t talk to me.’ Now, maybe I’m getting old, but I like the collaboration. Q: How does the woodworking community describe you? A: I don’t know that I’ve found my style yet. I’ll twist stuff, I’ll bend stuff, do this weird artistic stuff, for someone who wants an art piece, a centrepiece, not something that will blend in. I seem to make that a priority every time. Q: What’s the change been like from when you graduated art school and did gallery shows to today? A: It’s a nice middle ground between art and function, and I can actually make money. Now, I spend a whole bunch of time and people actually want the product. It’s a consumable thing, which is cool, even though I don’t get to (destroy) it at the end. People still think it’s precious to me, like I put all this work in and now I’m going to give it away. But I made it for someone else. If I kept everything I made I wouldn’t be able to walk around my house.